Thanks Houston. I utilized the info given by Tinfoils in his Friday Baseball Report. Combing the number of games total between opposing pitchers and then dividing the total number of games they've given up a first inning run by that overall total. If it was a lopsided or skewed percentage (see Seattle) I listed it above. But everyone for the most part were relatively even. LAD are struggling to hit right now and Anderson hasn't given up a 1st inning run in 6 starts. He's 6-0. Kershaw's numbers are actually worse and they're still phenomenal. Guthrie and Quintana are both quality starters. Guthrie gets ZERO run support so he doesn't get much praise, but he's not bad by any stretch. I really like the Under overall in this game as well. And finally, my Rangers are awful in Seattle. We never play well at Safeco. King Felix has been lights out. Tepesch has been awful. Kslab, BOL man. Have you also recorded the number of times each team has scored in the 1st inning? Good luck. Ricky P has just progressively gotten better and he has paid off nicely this year for me. 6-1 Team win loss record and get him at good numbers. Tough Match up here but I will be rooting for you. First, the most glaring stat -- Road teams in Umpire Fagan's last 10? 10-0. Even though Porcello has cost me a lot of dough over the years, he finally looks to be trusting the talent he has. He's won his last 4 starts, including 3 on the road. Detroit comes in after winning 4 straight, boasting a 12-4 road record. Boston however are an underwhelming 10-12 at home and have lost 3 of 4 games. Lackey is the major bright spot for them today. He's won 3 of 4 and has really bounced back this year. Combine the fact that the Under has hit in 3 of Lackey's last 4 games, plus Ump Fagan's games have finished under in 7 of the last 8; I'm also making a small play on the Under 8.5. Tailing again, man. Definitely hit up the Museum of Natural History while you're there in DC! And tell your Rockies to take it easy on Harrison and my Rangers tomorrow! Tailed you and made some dough. Great work! BOL as well. It'd be great to meet up a few rounds in, like the mid-2000's battles we had with you guys and Pau. And Memphis does want to play San Antonio? Your same argument for the Mavs can be applied to the Grizz here. You are correct. So then you look at the fact Dallas is 3-0 vs Grizz this season (albeit, this Grizz team is the best they've looked all season) and you see this is a toss up. Should be a gritty, low scoring game and I trust our shotmakers to be the difference. I have faith that my boys get the win tonight. 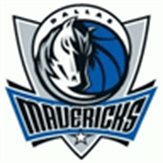 They do NOT want to face San Antonio in the 1st round. Believe me. We haven't beat Pop and co. since Avery and Sean Elliot were lacing em up. We have played great as of late; taking down PHX, LAC, OKC, losing a heart breaker to GSW in OT.. but, the one bad loss in recent games came against SA-- we just can't match up with their offensive rebounding, kick-out-for 3 type of half court game at this point. Dirk doesn't want an early exit. Vince hasn't been there in years. Win or lose, they WILL be treating this like a playoff game. I guarantee you the MAVS want this game as bad as anyone. They know the freight train that IS the San Antonio Spurs. Zamboni is a legend here. Even us lurkers know how valuable his insight is. With you on this except for Memphis cause I can't buy that many points. Feeling lucky today! I always make one or two of these a day. Fortunate to hit four 10+ team parlays in one night last season. Hoping for the same luck tomorrow!!! Lets get it! BOS - 1 unit, -165 - juice hurts but despite bad career #'s vs Rangers, Lackey handled them last season and i think RSOX take it out on Schepper, tale of 2 pitchers moving opposite directions. CLE - 1 unit, -142 - looking for Kluber to bounce back, they need a solid start after high scoring contests w Twins. SD just not hitting and I's are scoring at will, i like the I's -140 im good with..
CWS/COL - Ov10 (lol) -.5, -105 Wsox Paulino used to be a Rockie and had horribe #'s there, Lyles is,,pinch pitching in #5 spot doesnt seem like a spot for him to cruuise, both teams hitting..
LAA - .50, -148 - CJWilson and Angels to get take 3/4 he had a good spring needs to bounce back. LAA/HOU Ov8.5, .25 - runs are scoring like,..butter over in Hou..
NYY - .25, -152 - Yanks home opener, Jeter last season, Kuroda great home #'s, id like to lean into this one but Jimenez i can never figure out, he suks when he should be good and is good when he should suk, Yanks might press at home last jeter opening day . .
ill play a parlay may add later on ..